Friday night I had some very serious, much needed self-care time. 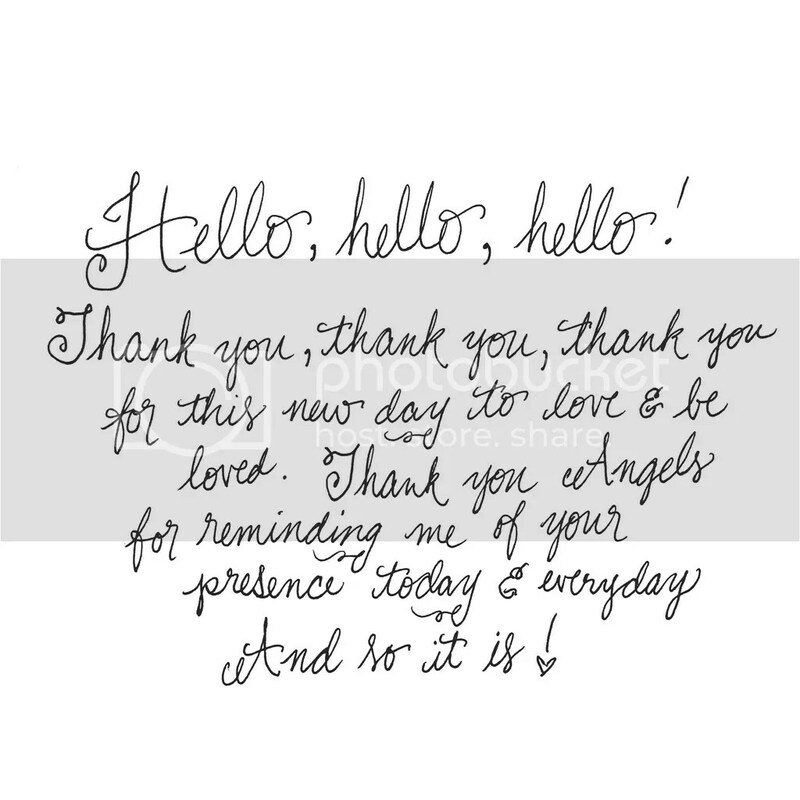 The theme of detoxification has been popping up for me and how well-timed is it, too! I’m shaking off the final blahs from being sick and I’ve been playing with the idea of energy healing more and more. Briana Saussy’s Sacred Bathing post popped up at the most perfect time as did Lisa‘s newsletter message (sign up! you’ll love it!) 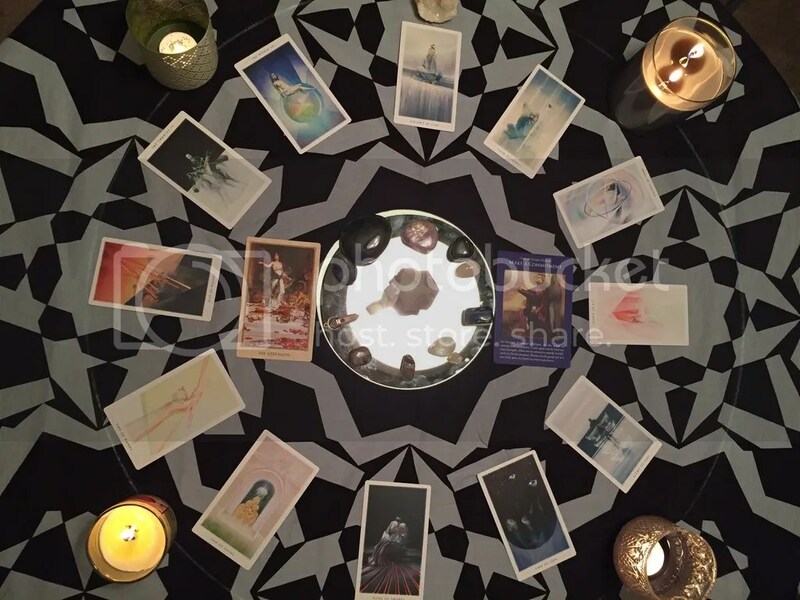 about energy healing and Angel Card Reading for Creatives! 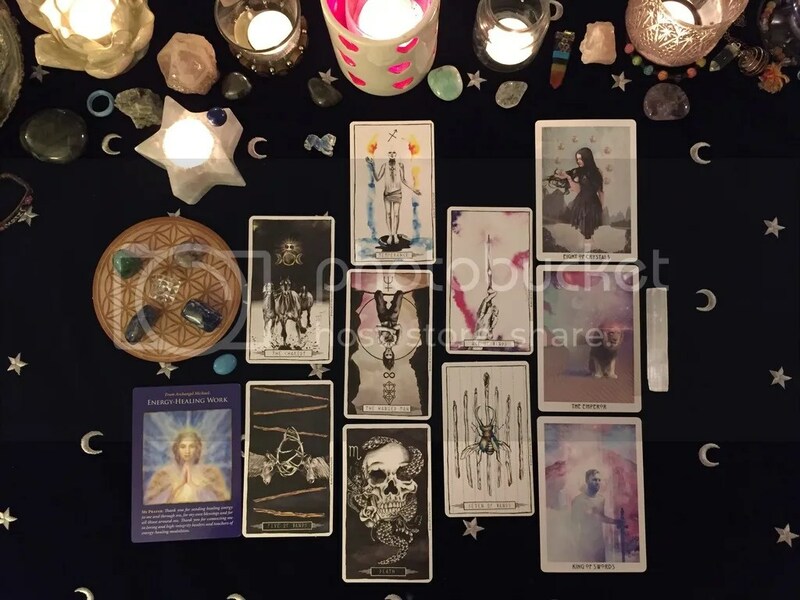 It all went in line with the Full Moon Releasing spread I did (by Vix at New Age Hipster!) and what an Intuitive Reader read for me on Saturday morning at a Psychic Fair I attended! What vibes are present this Lunar Cycle? Three decks wanted to tell me all about it! I like to think that April was quite victorious for me with a lot more truth-speaking than usual for a non-feather-ruffler like myself. How about you? Was April as victorious as you thought? What does that mean for May?